Kilauea has been oozing lava for weeks, but things took a turn for the worse on Tuesday when the summit crater sent ash flying up to 12,000 feet above sea level. This sign of the apocalypse apparently wasn’t enough to deter golfers from hitting the links. 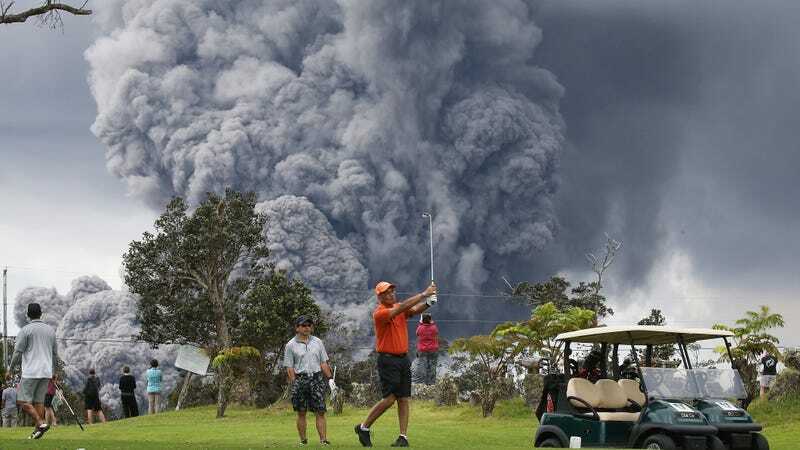 The above image—which is this year’s version of the dudes golfing during an Oregon wildfire—was captured as Kilauea enters a new phase of eruptive activity. 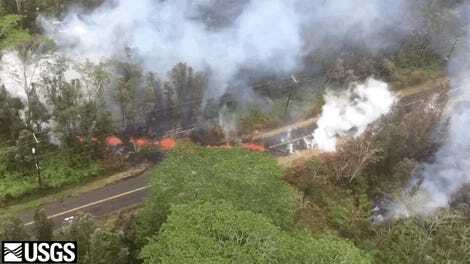 The U.S. Geological Survey has issued a red alert for aviation in the vicinity and warned residents of deteriorating conditions. “Ashfall and vog (volcanic air pollution) has been reported in Pahala, about 18 miles downwind,” USGS wrote in issuing their red alert. It’s abrasive enough to erode the blades of the compressor (which increases the pressure of the air that feeds the jet engine), reducing its efficiency. The ash that gets into the combustion chamber can melt, producing a substance like molten glass. That then solidifies on the turbine blades, blocking air flow, and potentially stalling the engine. Kilauea is a shield volcano, a type of volcano that generally isn’t prone to explosive eruptions. 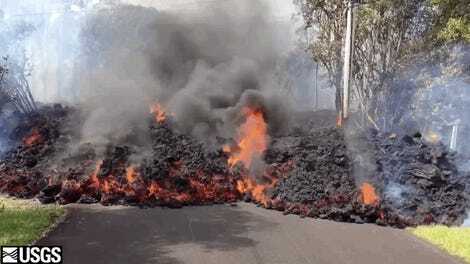 But scientists have been warning that violent outbursts of ash, ballistic chunks of rock, and gases could occur as magma dips beneath the water table. They’ve been watching Kilauea’s lava lake for clues about when that could happen. It’s dropped more than 700 feet as magma (the underground version of lava) has fed eruptions in the East Rift Zone. The ash cloud offers a few clues that the lava has started to hit the water table. “The plume is an intermittent mix of brown volcanic ash and white steam (formed from the water seeping into the lava lake),” Erik Klemetti, a volcanologist, wrote on his Discover blog. If the lake continues its descent, we could see more violent eruptions that may just be enough to disrupt golfing. Kilauea Volcano Could Erupt &apos;Explosively,&apos; But What Does That Mean? How Long Until Life Comes Back to Kilauea?